My presentation on Zen and Taoist influences on Gestalt Therapy will entail both experiential and didactic components that will be interwoven into the program with interactive practical exercises. In my early Gestalt education and training in Gestalt Therapy at the Gestalt Therapy Institute of Philadelphia from 2003 to 2006, I began to understand that both Mindfulness Meditation (MM) and Gestalt Therapy (GT) have been influenced by the Buddhist view of “awareness”. A few years before I began my Gestalt training, I started basic training in Mindfulness Meditation at the Thomas Jefferson Hospital Center for Integrative Medicine in Philadelphia. Since that time my training and practice has included Mindfulness-Based Stress Reduction (MBSR), Self-Compassion and other aspects of Mindfulness based methods such as Mindful Focusing. These will be discussed as they relate to my topic. First, I will address an important question: what is Mindfulness Meditation (MM) and can it be applied to Psychotherapy? This question will be answered in detail in my presentation. I will show what Body-centered MM is and how it is being applied to psychotherapy and Addictions Treatment & Recovery Programs. What does it mean when a person is being mindful? 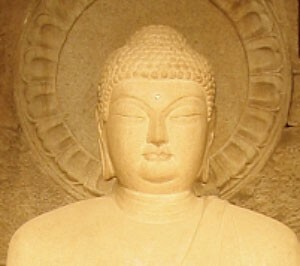 According to Terry Fralich, a Clinical Counselor, Mindfulness Meditation Practitioner and Educator, in his book Cultivating Lasting Happiness (2007) he says that when a person is being “mindful,” it means the person is having “moment to moment awareness.” He goes on to say MM is an approach to meditation practice, whereby a person develops the ability to pay attention in a particular way, to become intentionally aware in the present moment and “witness” his or her body sensations, feelings, thoughts, behaviors and actions in the present non-judgmentally, with acceptance and non-reactivity, (2007). Furthermore, Paul Goodman, one of the co-authors of the foundational book, Gestalt Therapy, (referred to here as PHG) was primarily responsible for integrating Taoist Naturalistic Philosophy into Gestalt Therapy. (PHG, 1952/1996) (Fritz later integrated more Eastern sources and meditation methods into GT, which also will be addressed.) In Taoism “the Tao” means the “Way.” This refers to a following the proper path of living that is confluent with the fundamental energy force of the universe that permeates all things. I will address the Taoist influence in Gestalt Therapy as well in my presentation. Taoism influenced the development of Zen Buddhism, which I will also discuss. It was Chán – Buddhism that was the most ‘Daoist” of the Chinese Buddhist sects; and Chán Buddhist sect became known as Zen Buddhism in Japan. Chan/Zen Buddhism placed emphasis on practice, in “the here and now” — “every moment Zen” included issues of the world not just private contemplation for yourself. It also emphasized a heuristic spiritual discipline involving finding meaning inside oneself in relation to the Tao rather than from dogma or revelation.as is the case with many organized religions. In the modern period the Chan/Zen Buddhist here and now emphasis influenced the Humanistic Buddhist movement in China and Taiwan, which was rooted in Mahayana Buddhism. Zen Buddhism is based on the fundamental principle of the Tao force in nature that gives rise to the interconnectedness of self and others, about which a person becomes aware of, as that person moves toward enlightened Zen state. This social interconnected “relationality” undergirds the separateness distinctions between human beings and focuses on the core “oneness” of humanity; so having compassion for others and caring for others is central in Zen and also became incorporated into GT.